Monarch buys all the spent catalyst, largely hazardous waste, from its clients, recovers the nickel using environmentally sound processes and sells it back to them. Mumbai-based Monarch Catalyst is a global catalyst supplier. It primarily supplies nickel, recovered from spent catalysts (used/deactivated catalysts) and also imported, to the industry. Founded in 1974, the company prides itself on being environmentally and socially responsible. Monarch buys all the spent catalyst, largely hazardous waste, from its clients, recovers the nickel using environmentally sound processes and sells it back to them. The processed nickel is largely used in the manufacture of oils and oleo chemicals. Monarch is the only catalyst company in India authorised to treat nickel waste. 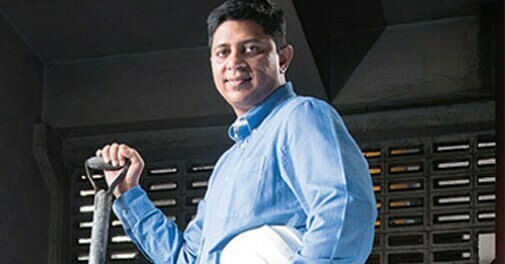 "We started this business (of recovering nickel from spent catalysts) and it gave us an economic advantage because our costs were lower since we didn't have to import as much," says Muthukumar, Director, Monarch Catalyst. Monarch currently serves customers in 36 countries including the US, Germany, Malaysia and Indonesia. Its Indian clients include Godrej, Ranbaxy and Lupin. "We have never had an issue with Monarch," says Nitin S. Nabar, Executive Director and President (Chemicals), Godrej Industries. It also saves the company from bothering about managing the spent catalyst, he adds.